Institutional Shareholder Services has placed its support behind Michael Dell’s proposal to take the computer maker private for $24.4 billion. The founder of the computer giant has been on a quest to take the company private while facing competing offers and opposition from significant shareholders of the company. ISS is a proxy and advisory firm, it does more than simply facilitate shareholder votes, it also advises institutional investors about how to vote on matters of mergers and acquisitions of this type. The firm’s support behind Michael Dell gives him some leverage while he and his investment partners, Silver Lake, fend off ever revising offers from activist investor Carl Icahn. Dell is putting all his holdings in the company, plus $750 million of his own money at stake in the deal, whereas Icahn’s offer “is not as lucid, transparent, certain or common as a management buyout and, ultimately, is less likely to be effective or to delivery more value” according to Glass Lewis & Co., another shareholder advisory firm which has backed Dell. Dell has a desire to play a more disruptive role in the hardware space that is finding itself in a period of transition since tablets, ultra-books and even smartphones are taking a toll on traditional PC sales. More importantly, Dell also wants to take the company in a direction of being a supplier of data-center equipment and software. This allows the company to still make a tangible good and cater to businesses, an area that typically carries a higher profit margin. 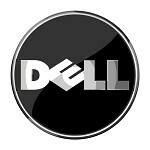 I hope Dell comes back strong and with amazing products. Its one of the most trusted brands and their products always caters to all the segments of the markets from the low end to the high end without compromising on the quality. I dont know why they totally chucked the smartphone department, hope they bring it back and as with the laptops ,we are given an option to configure the specs.